There are times in life when some of us come to a crossroad in our career. Which way do you choose? Each direction has pros and cons, some with immediate benefits and others are mid to long term before you will actually start to realize the fruits of your labor. Either way, there is one that seems correct, and then there is one correct way. 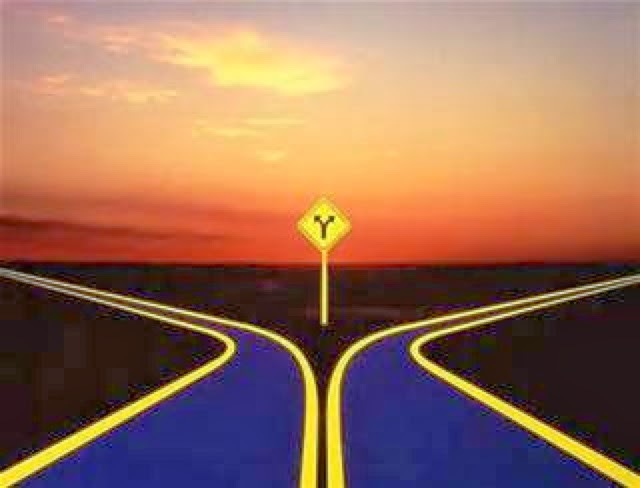 In each case, you only know that you made the correct or incorrect decision after you have chosen, and there is no way to undo your choice. Or is there? Can you course correct? Maybe...but that all depends on the circumstances and how far you are willing to go. Further, once you course correct, does it end or are you in a continuous cycle to keep correcting? And is it ever perfect? Or can you even achieve perfection? As I pondered these questions, I looked back at my career choices and thought about the uncertainty I felt when I had taken a risk to try something new. I must say, I have chosen well and ended up in a good place. In the end, the conclusion I came to is that ultimately you owe it to yourself to find that which fulfills you, utilizes your talents, and fuels your passion. It's only there that you will realize the twists and turns that you made over the years gave you the experience you needed and brought you right to where you are supposed to be. Did you ever come to a crossroad in your career? Please share how you came to your decision, and was it the right one?